Learn about the colors, patterns, quality, and costs of posh, popular marble flooring to decide if it belongs in your home. 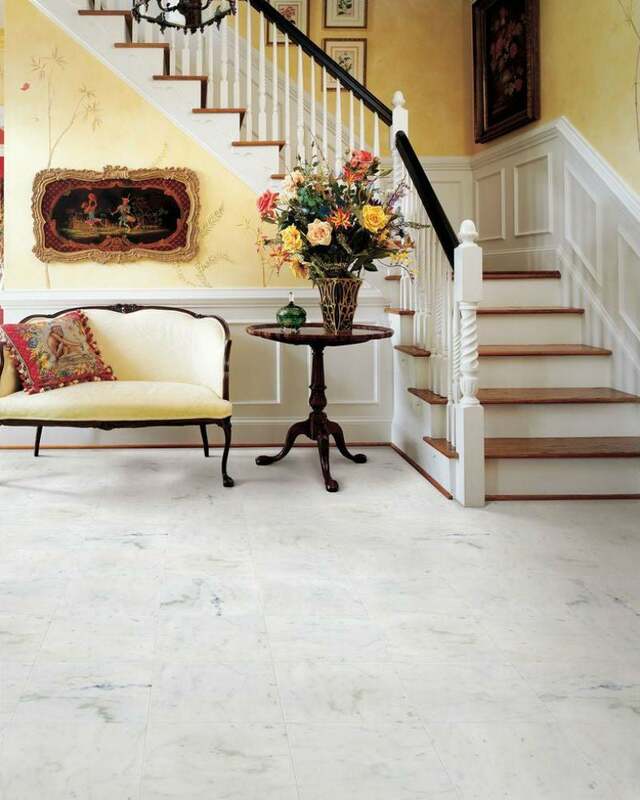 Beautiful marble flooring started its journey into our homes as limestone. Millions of years of metamorphosis—intense heat and pressure—produced a dense variegated stone that can be polished to a high shine. Marble is now mined throughout the world and is highly prized as a natural product for countertops and flooring. Polished marble reflects light to make rooms seem more spacious while offering a touch of elegance. Yet for such an upscale material, marble is also durable and easy-care. You’ll find it often installed in “wet” environments, such as kitchens and bathrooms, where frequent water splashes can be simply wiped away without causing damage. 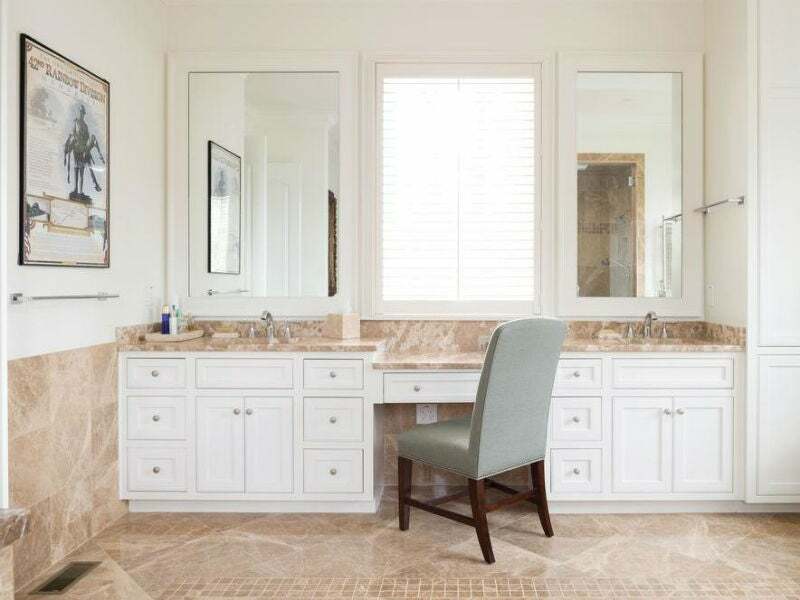 So if you’re thinking about incorporating this fabulous flooring into your home design, read on to learn what types of marble are available, how to choose the best one for your budget, and glean some DIY tips should you opt to tackle installation yourself. 1. Marble flooring comes in a wide range of color options but is often sorted into three main categories. Marble flooring tiles come in varying colors and surface patterns. The contrasting color lines running through the surface are known as veining, which can be heavy and pronounced or delicate and barely noticeable. While more than a hundred varieties of marble exist, there are three main categories, each type identified by its appearance. Carrara: This popular white marble was used centuries ago in ancient Greece and Rome, appearing in massive pillars and elaborate statues. Today, Carrara marble flooring tiles can be found in limited hues, ranging from light to warm white, and its surface features medium to light gray veining. Calacatta: A white marble similar to Carrara, Calacatta is closer to pure white in color and features darker gray veining, which creates a contrasting look. Breccia: For more color and warmth in marble flooring, consider Breccia marble, which comes in a range of deeper shades, including warm golds, tans, deep browns, and reds. The dark gray and black veining in Breccia marble tends to appear in ornate swirls, and it frequently includes perfectly round outlines that resemble bubbles trapped beneath the surface. 2. Marble flooring isn’t always shiny—nor should it be. The above types of marble can be finished to either a high gloss or a matte look, depending on what’s best suited for the location. Polished Marble: The most popular option for marble flooring comes with a high-gloss appearance, achieved by grinding the surface with a stone-polishing machine. Polishing brings out the veining in the marble and gives the floor a radiant luxurious look. With the right maintenance (see below), polished marble will retain a reflective finish for many years. Honed Marble: This type of finish is only lightly polished, just enough to produce a flat smooth surface, but not enough to create a shine. Honed marble offers a durable surface with a soft matte finish some consider more down to earth than flashier polished marble. 3. Marble tiles smaller than 2 feet across are most common in home installations. Marble flooring comes in tiles of differing sizes, ranging from small, 2-inch by 2-inch squares, to large, 6-foot by 8-foot slabs. For residential purposes, marble tiles are rarely larger than 2-foot by 2-foot, because larger slabs, which are very heavy, require specialized installation. Large slabs are usually found only in commercial and public buildings. Tile thickness ranges from ¼-inch to ¾-inch for residential tiles, while commercial marble slabs can be up to 2 inches thick. Quality also varies by surface design and density. While no industry standard exists, a few factors can tip you off to the tile’s quality. Mesh-backed tiles are mounted on a backing of fiberglass resin. 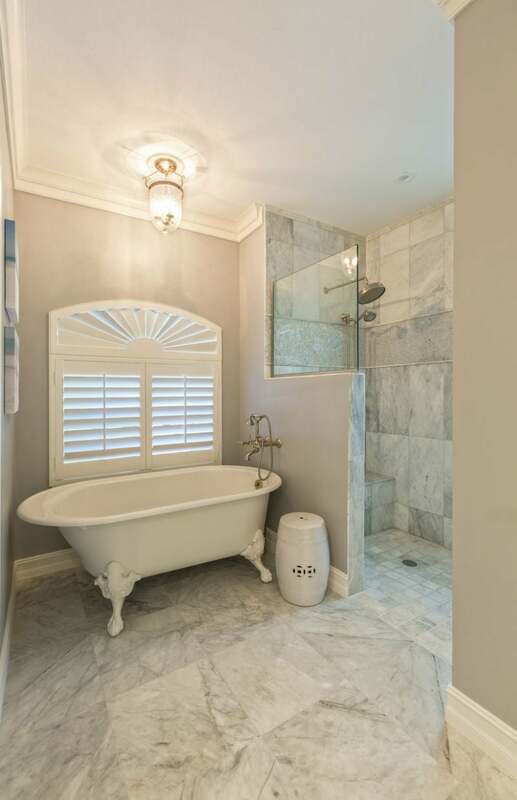 These are typically lower-end marble tiles, which are often less dense and more prone to scratching or breaking. Mesh-backed tiles are suitable for low-traffic rooms, such as bathrooms, but they are less desirable in high-traffic areas where they may show signs of wear more quickly. Lower quality tiles may feature filled areas. When you look at the tile straight on, you might not notice any difference, but if you turn the tile at a 45-degree angle, you might spot irregular dull patches, which indicate holes in the tile’s surface have been filled with a resin compound. Over time, the filled areas may work loose, leaving holes in the surface that require patching. Marble tiles with deep fissures are at a greater risk of breaking under the pressure of heavy furniture or appliances. When trying to determine the quality of a marble tile, turn it over and check the backside—if a fissure is noticeable on both the front and the back, the tile may crack is something heavy is placed on it. 4. The coveted shine on polished marble is slippery when wet. Unfortunately, the slip factor makes polished marble unsuitable in homes with elderly residents at risk of falling. To reduce the slip factor of polished marble, consider using multiple area rugs with non-slip backing, or apply a non-slip product to the floor’s surface, such as SlipDoctors Polish Grip Floor Treatment (available from Amazon). Non-slip products are designed to increase the grip traction of the floor without reducing its shine. Honed marble floors are natural less slippery than polished marble floors. 5. 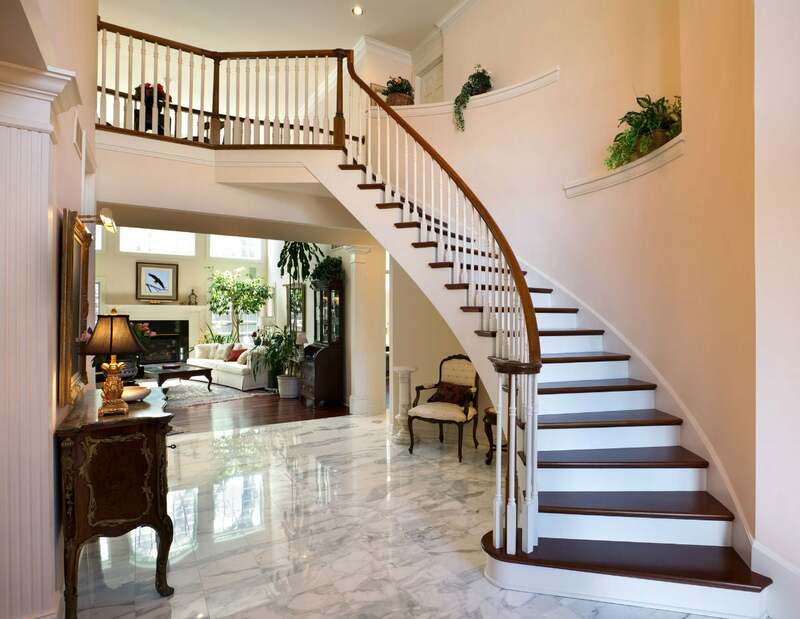 Marble is one of the more expensive flooring options in terms of materials and labor costs. A good amount of labor goes into quarrying and finishing marble tiles, so even lower-end marble is a pricey flooring choice. The least expensive tiles start around $5 per square foot and higher-end tiles can run $10 to $40 per square foot, depending on density and veining patterns (fine veining is preferable to heavy veining). Also, the larger the tile, the more expensive the square foot cost. 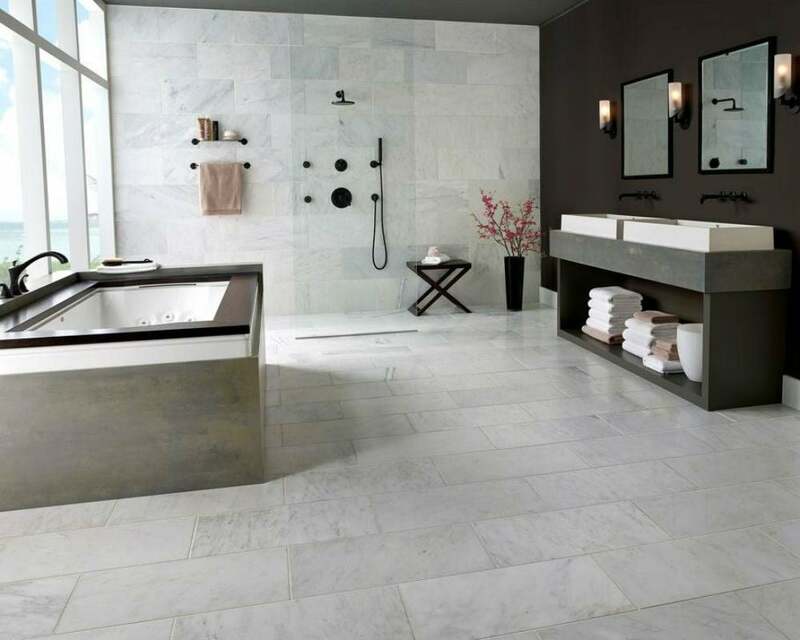 Ceramic and porcelain tiles, in comparison, run just $1 to $3 per square foot. Removing and disposing of the existing floor. Specialized installation, such as incorporating decorative tile motifs or borders. The need to beef up the existing subfloor. Marble tiles are heavy, and if the existing subfloor isn’t structurally sufficient, it will have to be reinforced before the tiles are installed. 6. Unless you have experience with tile-setting, don’t DIY marble flooring to save money. The subfloor must be perfectly flat, without dips or bumps that could interfere with the tiles. If the floor isn’t flat, you can apply a self-leveling compound to fill in dips and smooth out the surface. Marble tiles should be installed over cement board underlayment, which resists moisture damage. Regular plywood subfloors are not suitable for installing tile. of the marble during installation. 7. 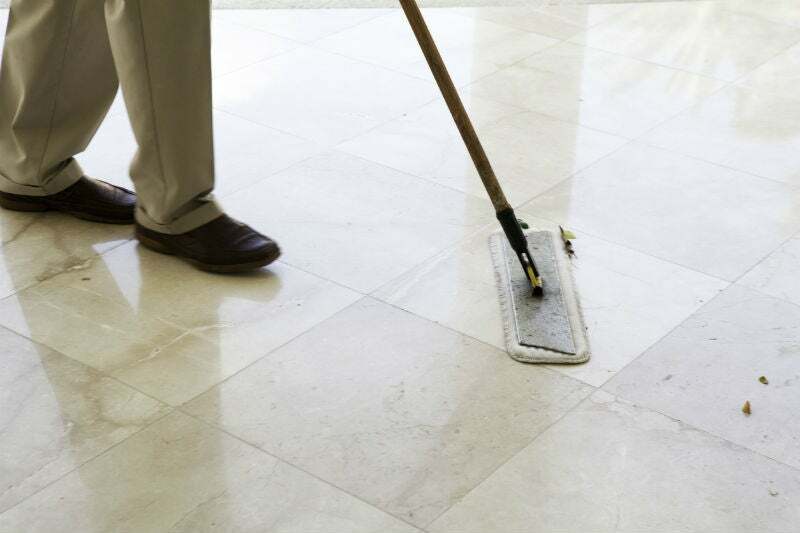 Marble flooring requires daily cleaning, prompt attention to spills, and regular sealing. While marble is a durable flooring, it requires a little extra care to help it retain its beauty. Sweep marble floors daily to remove tracked-in sand or grit. Walking over sand particles can lead to scratches on a marble floor. Wipe up spills promptly. Acidic liquids, such as orange juice or vinegar, can stain marble. Water won’t stain marble, but over time can dull its surface. Seal polished marble floors with a good stone sealant, such as Miracle Sealants’ 1-Step Natural Stone Sealer and Color Enhancer (available from Home Depot) at least once a year. Honed marble is more porous than polished marble, and it’s a good idea to seal a honed marble floor twice per year to help it resist staining. Use a mild, non-acidic floor cleaner for regular mopping. The product should specify its suitability for marble floors on the label. Alternately, make your own gentle floor cleaning solution by combining ½ cup of ammonia and 1 tablespoon of dish soap in a gallon of water.